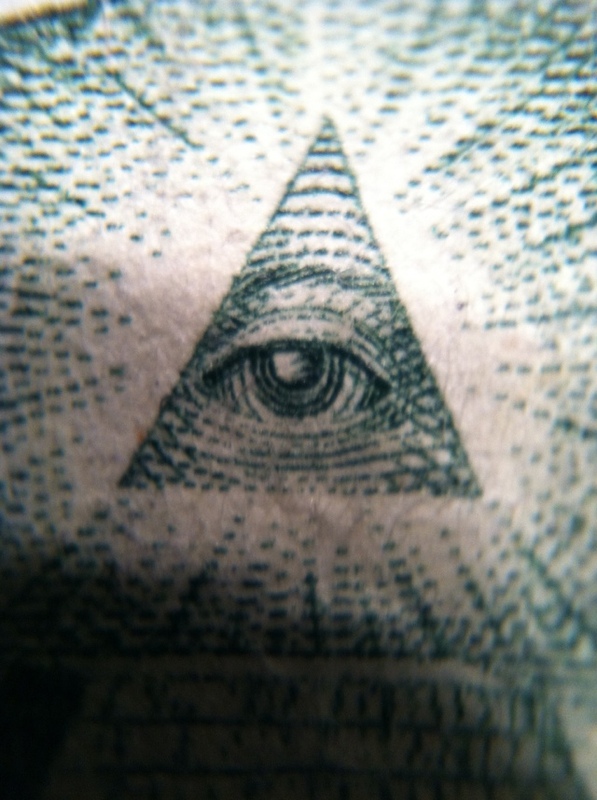 The image above, the all seeing eye from the US Dollar bill was taken with the iPhone, although any camera phone will work. 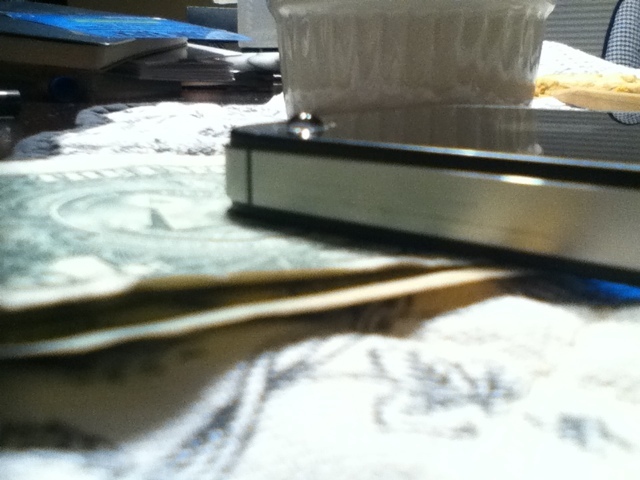 By placing a drop of water on the lens and carefully flipping it, you create a macro lens on the cheap. With better lighting and a steadier hand, a much better shot could be had. This is not original, something I came across on the web.